I really like these tires. I have been able to try them out in dry, snow, and rain conditions on back roads, highways, and city. I haven't had any problems and they are considerably better than what I had on before these (where I was hydroplaning when ever it rained). I plan on buying these again when I wear my current set out. These tires look great and are very quite. Excellent traction on the street and the mud. This is an overall good tire. I have no complaints. Very low noise. Good on all road surfaces. 10 ply makes for a rougher ride. Great tire so far. These tires have worked well over all but the mud packs in them quickly when it is thick clay type. I used chains when the mud got really sticky and the problem was solved. 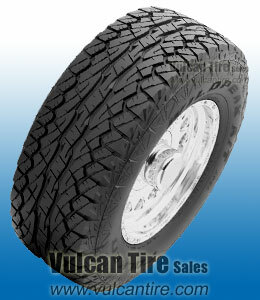 These tires are good AT tires with decent wear charactaristics and reasonable noise levels for a truck tire. Tires are very quiet and look great! !